View from the southeast, showing the Section House and the former rail yard. The Canadian Pacific Railway Section House in Coronation is the latest addition to the Alberta Register of Historic Places. The building was previously designated as a Registered Historic Resource in 2002. The resource was revaluated and its designation was upgraded to Provincial Historic Resource on August 27, 2012. The building, also known as the Section Foreman’s or Roadmaster’s House is significant as it is representational of CPR divisional point architecture and demonstrates the type of housing provided by the railway to essential railway employees. View from the southwest (trackside). Coronation, which is located about 120 km east of Stettler, became the divisional point for the CPR’s Lorraine subdivision, which eventually connected Youngstown in the south and the coal mines at Halkirk in the north to the main line. The Section Foreman was responsible for track maintenance on the subdivision. The CPR believed that men with established families were better qualified for positions of responsibility and housing was often provided for them as a way of attracting and retaining such people. At one point Coronation had three section houses in a line adjacent to the town’s rail yard. These houses were built according to a CPR standard plan, and were utilitarian in nature and featured simple ornamentation and were constructed of low-maintenance materials. Section House Interior, Dining Room. With changing technology, the use of divisional points evolved and many section houses were either abandoned, lifted and moved or simply torn down. The Coronation section house, which is now used as a local museum, remains on its original site and effectively communicates its provenance as an essential, and often over-looked, element of railway infrastructure. 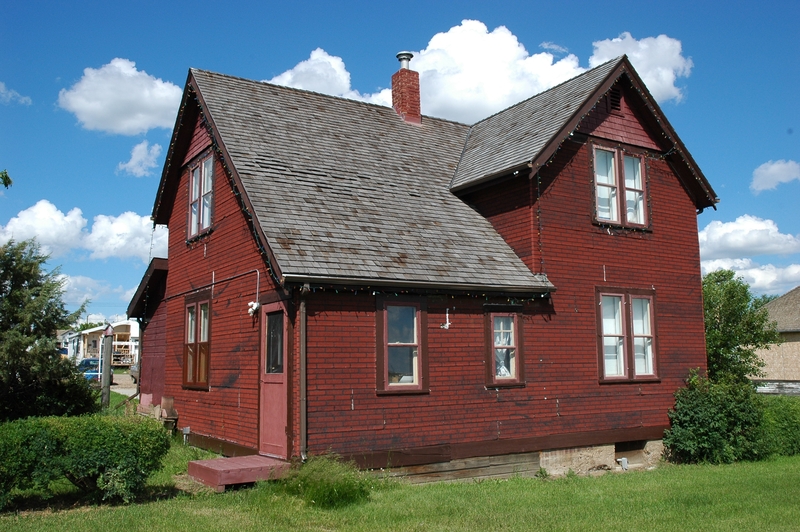 More information on the Canadian Pacific Railway Section House in Coronation can be found on the Alberta Register of Historic Places. 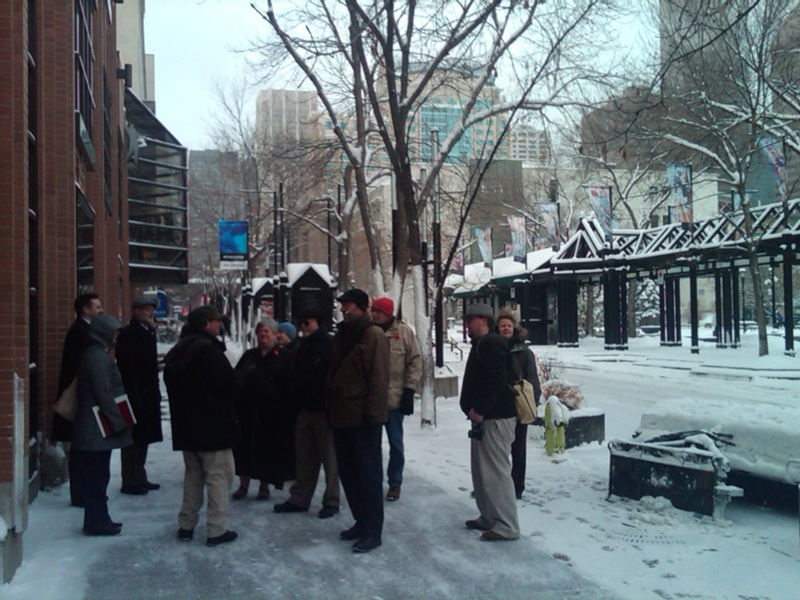 At the 2011 Municipal Heritage Forum we invited a broad range of communities to show and tell about their heritage planning projects. 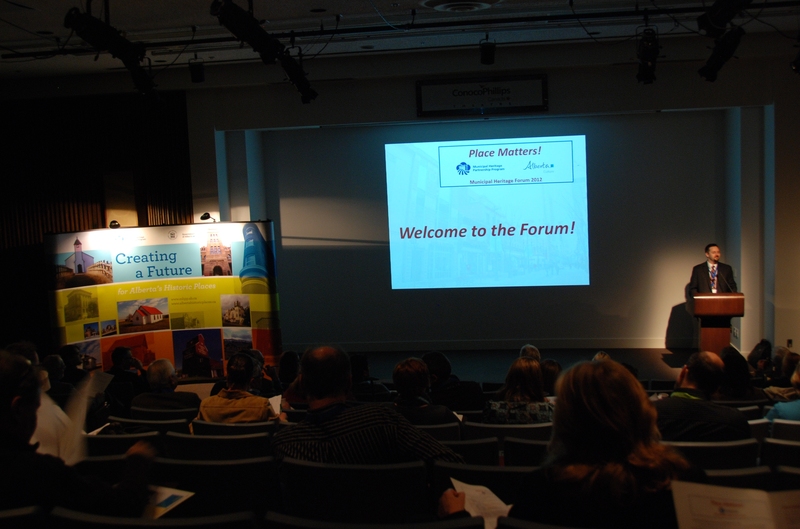 Back by popular demand, this year’s Place Matters Forum, saw three communities showcase their recent projects and achievements. Malcolm Sissons presenting on the recent activities of the City of Medicine Hat Heritage Resources Committee. 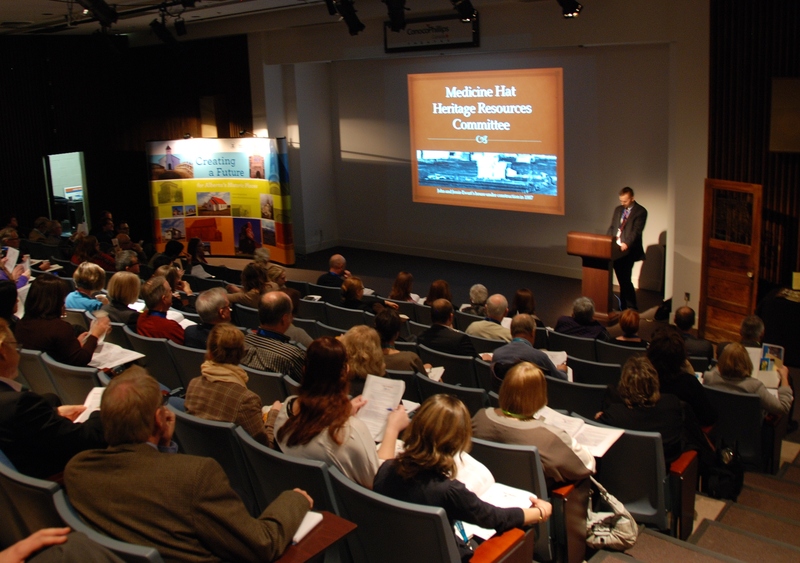 Malcolm Sissons, Chair of the City of Medicine Hat’s Heritage Resources Committee, informed Forum attendees about some of the progress made in Medicine Hat since the establishment of the Committee. This has included the designation of new Municipal Historic Resources, heritage awareness activities, and also the possibility of creating a Municipal Historic Area. Click here to access a copy of Malcolm’s presentation. Ann Ramsden, Director of the Musée Héritage Museum in St. Albert, described the sensitive rehabilitation of the Little White School, particularly describing how this historic place was adapted for barrier-free access. Click here to access a copy of Ann’s presentation. Stepping into action on behalf of the CAO of the Village of Holden, Dave Maruszeczka, from the Village of Holden Heritage Resources Committee, spoke eloquently – totally off the cuff – about the diligent heritage planning efforts of the Village, which have now resulted in a complete Municipal Heritage Survey, Inventory, and a nearly complete Heritage Management Plan. We would like to thank all the community presenters who took the time to “show and tell” at this years Forum – as well as those who were unable to attend. 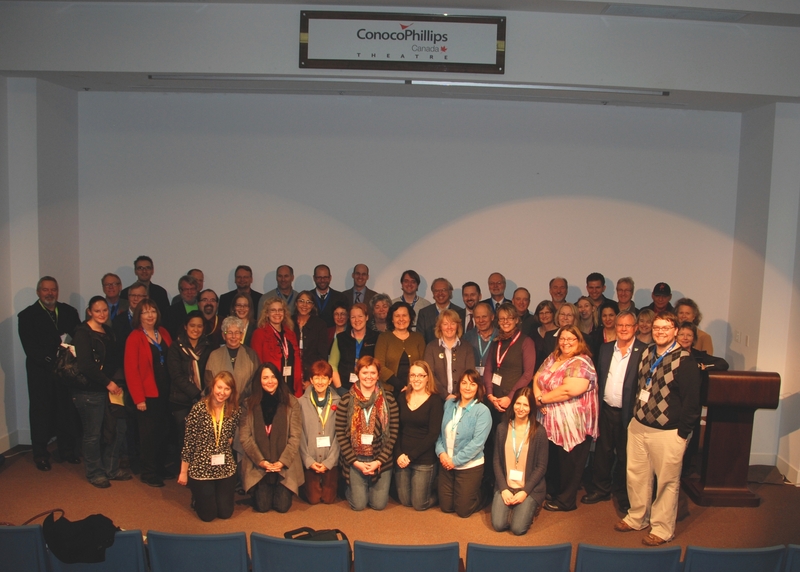 We look forward to even more great community heritage stories from across Alberta at Forum 2013! Why can’t I list that on the Alberta Register of Historic Places? 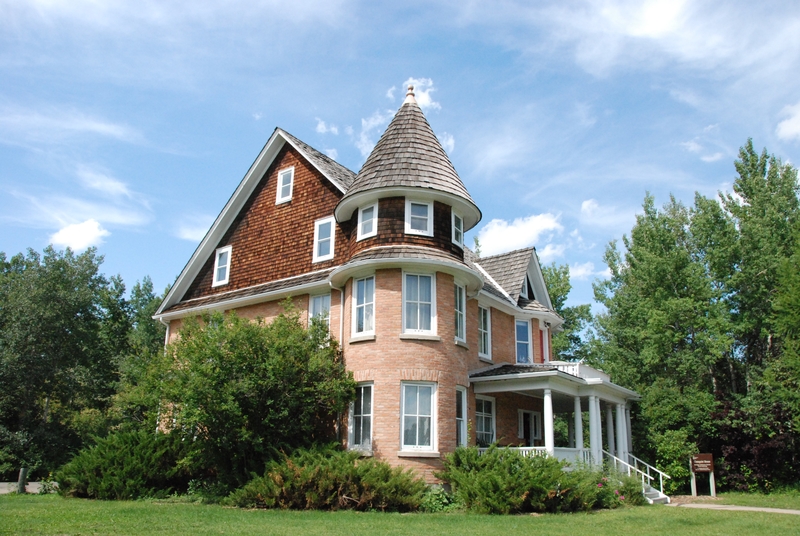 Listing a Municipal Historic Resource on the Alberta Register of Historic Places is normally the last step in protecting a locally significant historic place. There are several types of historic places that cannot be listed on the register. Understanding which ones are ineligible will help you understand what a historic place is and understand the purpose of designation under the Historical Resources Act. Only sites that are protected because of the heritage value they possess are eligible for listing on the Alberta Register of Historic Places. The register is a database containing information on places that have been protected because of their historical or archaeological significance. The register is not a list of sites that are of historical interest – that would be the Alberta Heritage Survey Program database. a building, structure or object situated in a historic park or village (like Heritage Park in Calgary). 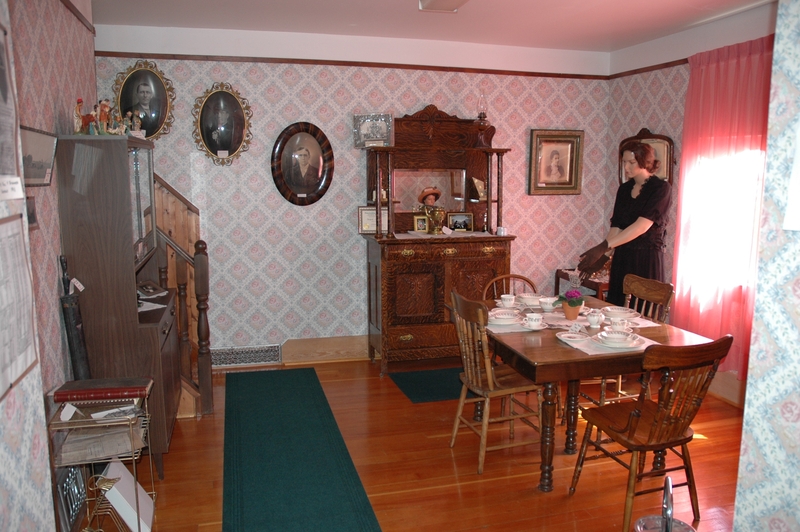 Cronquist House, protected by the City of Red Deer, is a Municipal Historic Resource. What are some examples of these types of property? Sites owned by the Crown cannot be designated as municipal historic resources. So, post offices owned by Canada Post or a provincial court house cannot be listed. Certain types of property (such as cemeteries) are regulated under other provincial laws (such as the Cemeteries Act). Conflicts between the Historical Resources Act and other provincial statutes can occasionally annul the protective nature of designation. When this is the case, those sites cannot be listed because they are not, in practice, protected. A historic place that clearly does not have heritage value cannot be listed on the Alberta Register of Historic Places. A contemporary reconstruction of a historic place, no matter how well executed, is by nature not a historic place. Reconstructions are built from the perspective of the present and use modern tools and materials. It’s unlikely that a reproduction will accurately reproduce a historic place in minute detail. Historic parks or villages are even worse in this respect. A historic park does not reproduce a historic streetscape in its original location. They are artificial groupings of buildings that have been created for purposes of interpretation. These are only the most obvious exemptions. There are other more subjective exemptions, like birthplaces, moved resources and things less than 50 years old. I will discuss those exemptions in an upcoming blog post. If you’d like to know more about exceptions to listing on the Alberta Register of Historic Places, you can download the Evaluating Historic Places manual from the Municipal Heritage Partnership Program website. 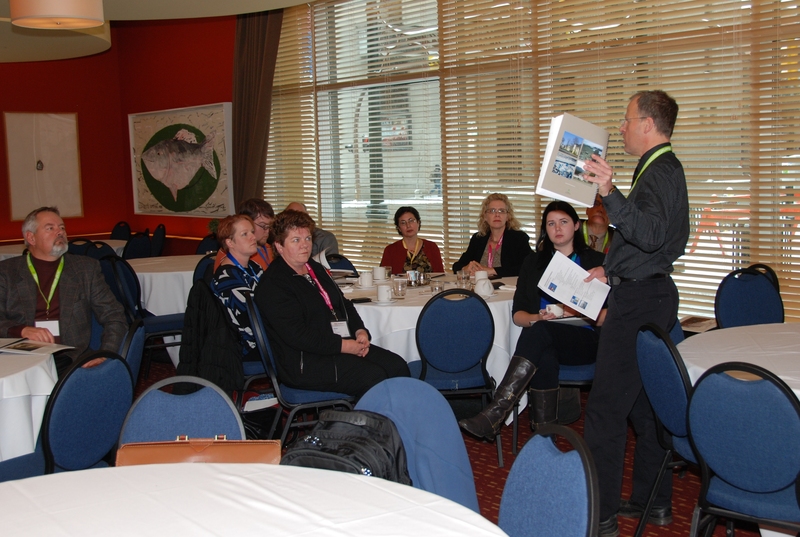 While the weather outside was frightful, the keynote address by Julian Smith at this year’s Municipal Heritage Forum intrigued and delighted a rapt audience of heritage stakeholders from across Alberta. Entitled “Re-Imagining the Historic Urban Landscape,” the presentation examined some of the historical underpinnings (‘biases’) that have guided heritage conservation, and charted a new trajectory broad enough to include landscapes and the ‘rituals’ by which people live in today’s globalized world. In his opening remarks, Julian described how international eyes are on Canada, and indeed on Alberta, as we launch into new conservation perspectives. 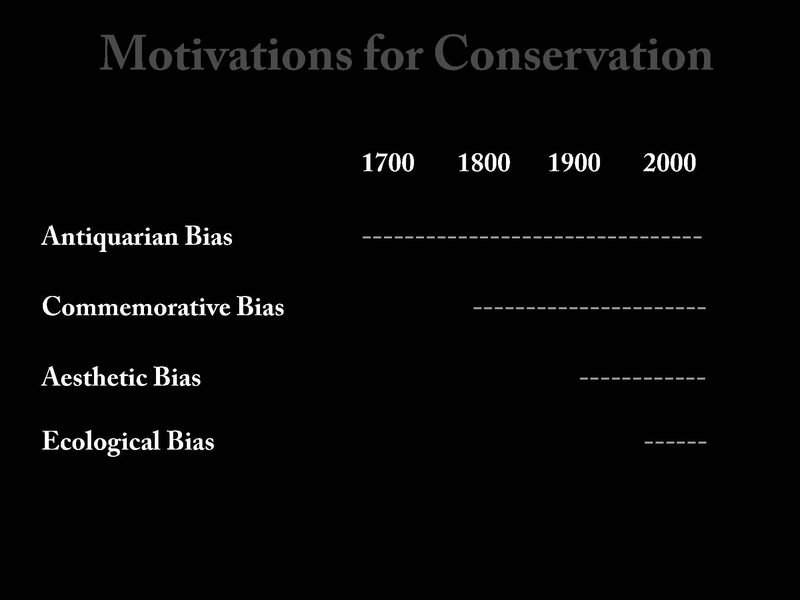 A Diagram composed by Julian Smith describing the historical “biases” that have characterized heritage conservation activities. This wide-ranging re-imagination spanned the globe as Julian showcased examples and issues from Canada, the United States, Japan, India, and Europe. The newly emerging “ecological” focus not only embraces broader environmental concerns, but also takes into account the relationships between built heritage and its surroundings in a deeper way. 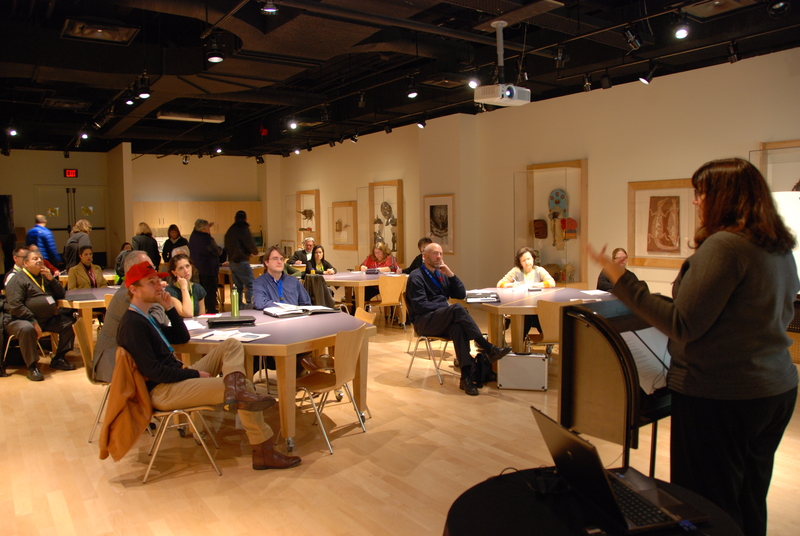 Many Forum participants commented on how Julian’s presentation expanded their horizons, opening up new avenues for consideration and ideas they hadn’t thought of before. Stay tuned! A copy of Julian’s presentation will soon follow. 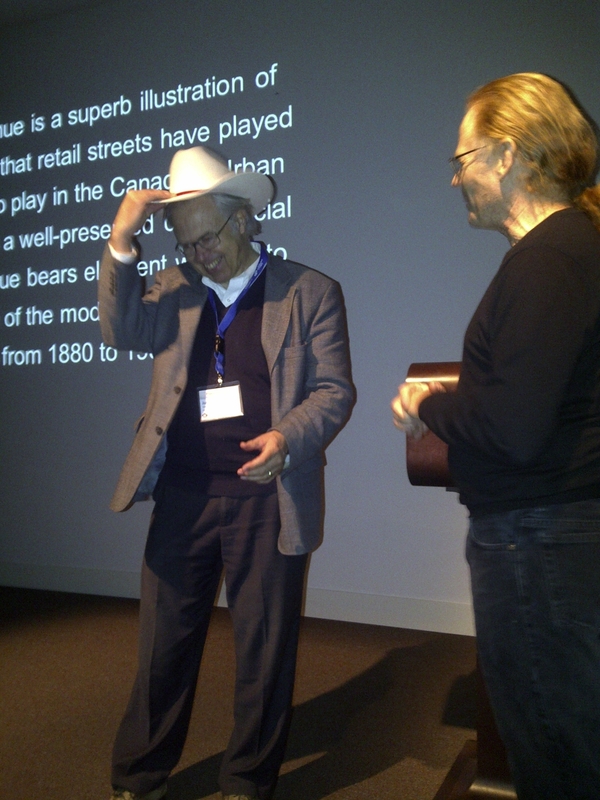 City of Calgary Senior Heritage Planner Darryl Cariou presents Julian Smith with the City’s traditional “White Hat” honour. Thank you! Success despite Snow! Last week, on November 8th and 9th, the sixth annual municipal heritage forum was held at the Glenbow Museum’s Conoco-Phillips Theatre. Nearly 85 attendees from rural and urban municipalities gathered to discuss issues and opportunities associated with the local conservation of historic urban landscapes. We thank all those that made the trek to Calgary through adverse winter driving conditions. Your enthusiasm and participation was inspiring. Stay tuned for detailed Forum updates! Matthew Francis, Manager of Municipal Heritage Services, welcoming attendees. In the summer of 1909, Dominion Land Surveyor Walter MacFarlane subdivided 17 townships on the Grande Prairie in northwestern Alberta into quarter-sections for land settlement. In the spring of 1910, the townships were thrown open of homesteading, and, during the next four years, there were 2,675 applications made for land on the Prairie, with 1,854 of them (69%) being proven up. One of the districts to receive considerable attention was that of Glen Leslie, just south of Kleskun Hill, where 144 settlers took out land. In all, these settlers made 164 applications for land, with 86 of these being proven up. One of the homesteaders in this district was Thomas Leslie from Roslin, Ontario, who filed for and proved up NE26 TP72 R4 W6. His sons, Bruce and Norman, filed for land close by. With so much settlement in the area, Thomas applied to be the district postmaster in August, 1914. His application was granted, which was natural as his homestead was already serving as the district store. The name proposed for the post office was Glen Leslie, which reflected Leslie’s Scottish heritage. Leslie’s home also facilitated church services conducted by the Presbyterian minister Alexander Forbes from Grande Prairie. The population of the Glen Leslie district was interdenominationally Protestant, and so attendees at the Glen Leslie Church were not exclusively Presbyterian. The church building was maintained by local volunteers and was made part of the new United Church of Canada in 1925. From 1918 to 1928, it also served as the Glen Leslie School. Many other social events were held there. In 1928, the cemetery was taken over by the Municipal District of Grande Prairie. When church services were curtailed in 1964, the County of Grande Prairie took over the church building as well. Having been well maintained, the structure was still useful for social events. It was provided with a foundation in 1970 and re-shingled in 1976. Special events continued to be held there, and, on 6 October 2011, the church was designated a Provincial Historic Resource. 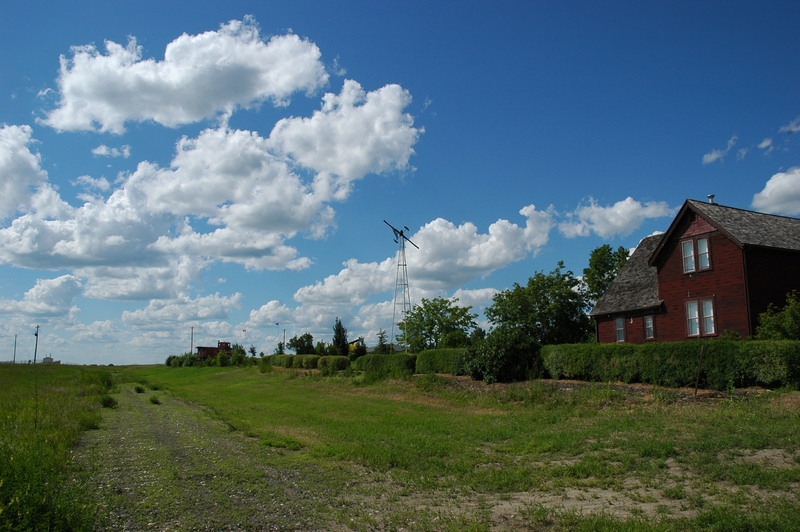 Its significance lies in its provision of structural evidence of the small community of Glen Leslie, one of the many districts on the Grande Prairie, from 1915 until today. The structure is important also in providing structural evidence of an early Presbyterian church in northwestern Alberta. 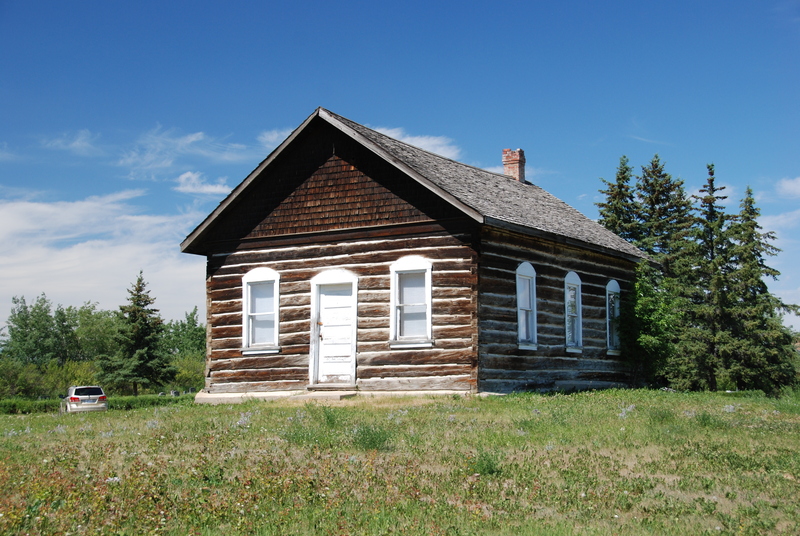 Visit the Alberta Register of Historic Places to learn more about the heritage value of the Glen Leslie Church. In order for a site to be designated a Provincial Historic Resource, it must possess province-wide significance for either its history or architecture. To properly assess the historic importance of a resource, a historian crafts a context document that situates a resource within its time and place and compares it to similar resources in other parts of the province. This allows staff to determine the importance of a resource to a particular theme, time, and place. Above, is some of the historical information used in the evaluation of the Glen Leslie Church.